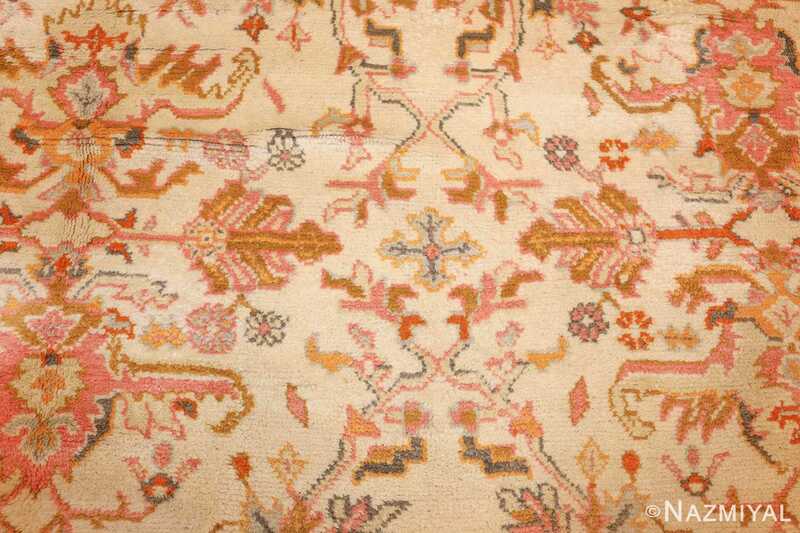 Beautiful Antique Turkish Oushak Rug, Country of Origin/ Rug Type: Turkish Rug, Circa Date: 1910 – Bold designs and timeless sophistication are words often used to describe antique Turkish Oushak rugs and this ivory color rug one is no exception. 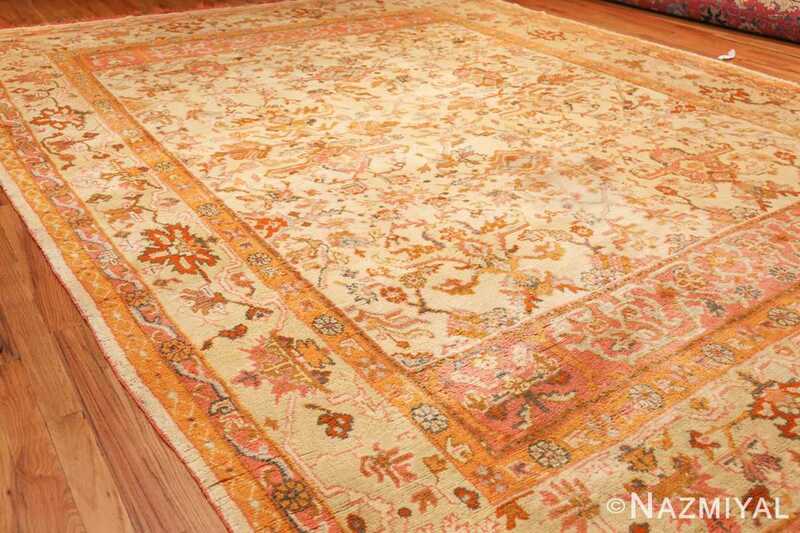 This classic antique Oriental rug is over 100 years old and reflects the decadence and beauty of the last days of the Ottoman Empire. 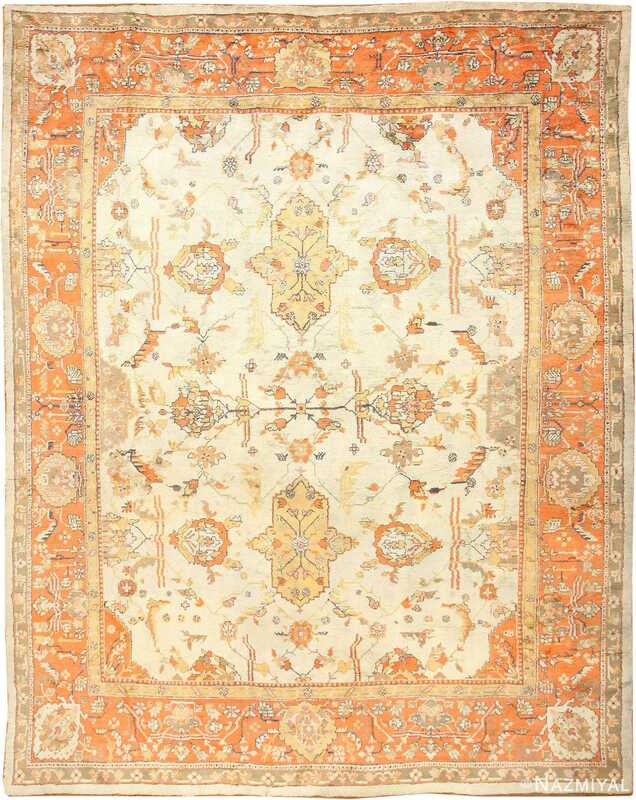 This room sized rug features a neutral background with vibrant accent colors of red tones, oranges, pinks, grays and slate blues forming the patterns. 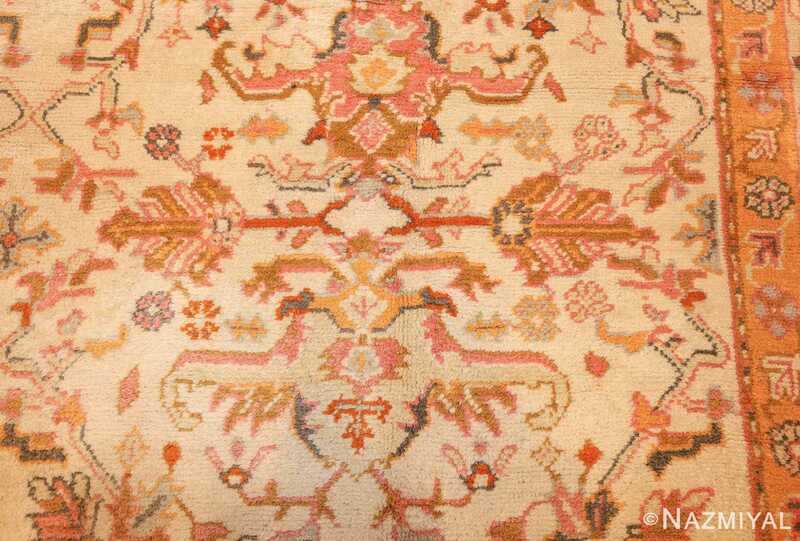 This contrast highlights the design and makes the details stand out. 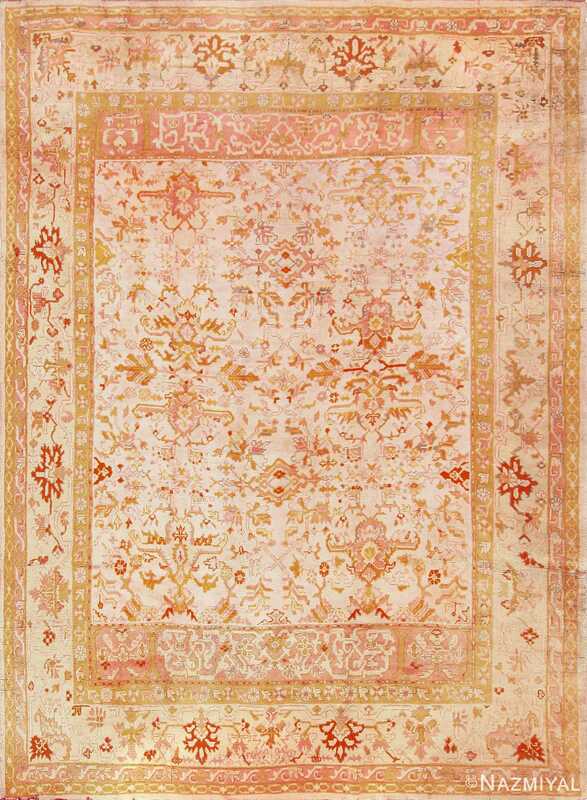 This antique Turkish Oushak rug will make a statement in any room’s interior design. 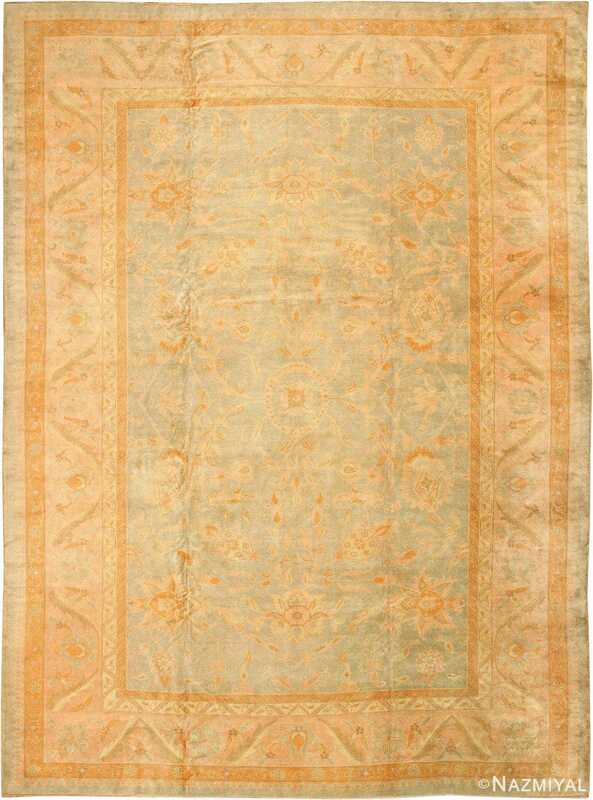 It provides a sense of scale and classic design taste. 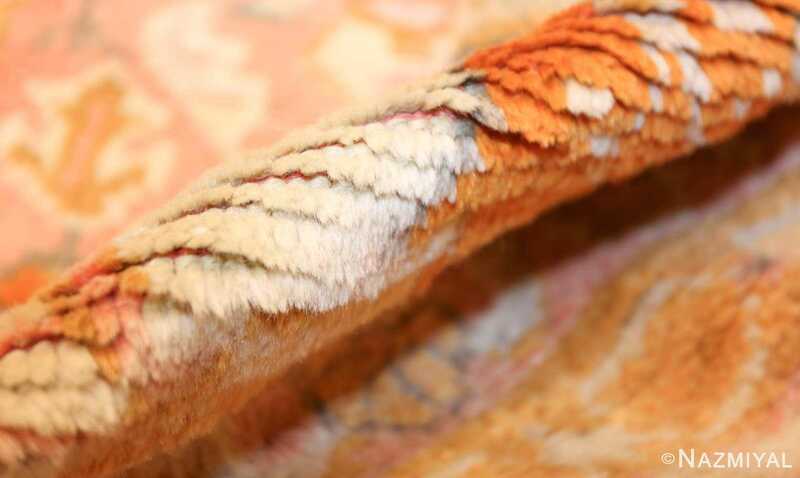 It so versatile in look and feel that it can complement both traditional or modern contemporary room designs while adding a sense of old world flare. The design features stylized flowers, leaves, and geometric motifs seen in beautiful Turkish rugs of the time period. 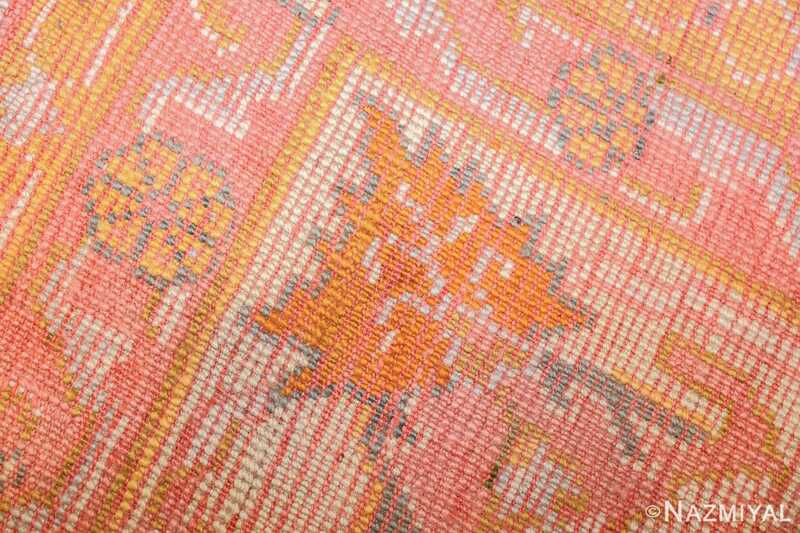 This antique Turkish Oushak rug will be a conversation starter at any gathering. 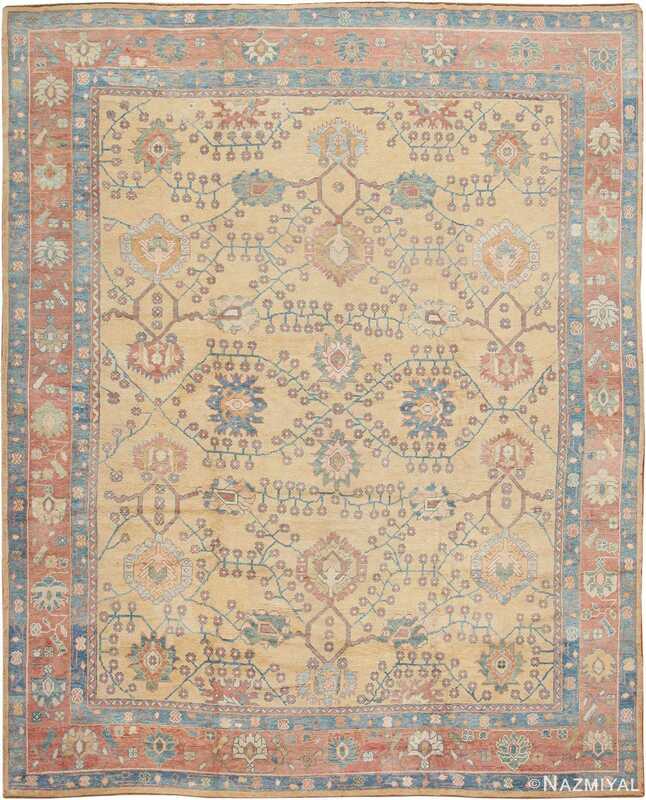 Oushak rugs are known for their bright contrasting decorative colors that add a sense of cheerfulness and happiness to the room. Oushak rugs reflect a hand-knotted rug-making tradition that dates back many centuries and that exemplifies the history and struggles of a noble people. 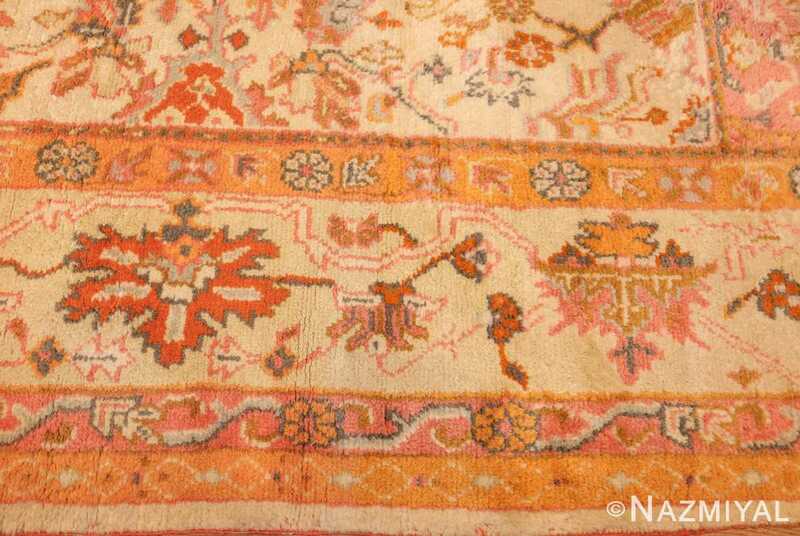 Oushak rug weavers are considered to be some of the more highly skilled in their craft. These weavers produce antique Oushak rugs that will last for many decades, even under heavy use. The master dyers who produce the colors use techniques that have been handed down through time to produce bright colors that do not fade and that change very little with time. 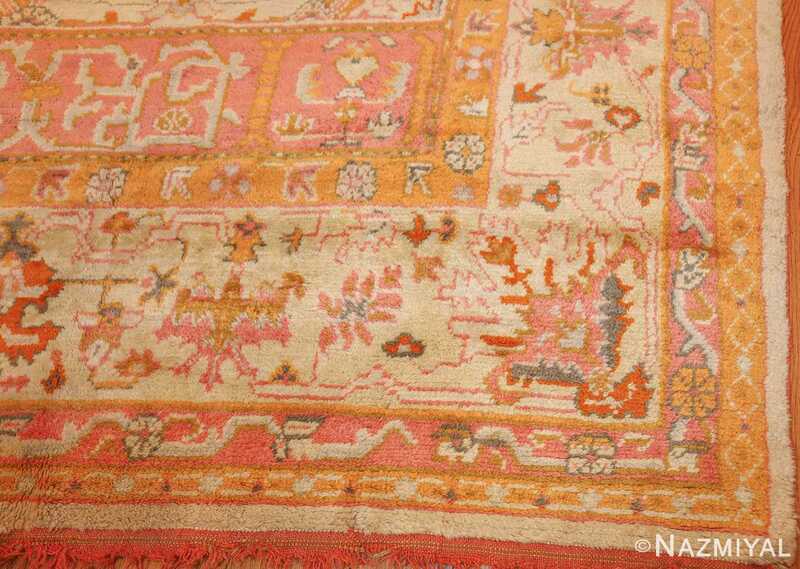 Beautiful antique rugs like this only gains more character as it ages and more stories to add to its history.